For attendees at last weekend's Historical Novel Society conference who missed seeing the session on The Art of Book Cover Design for Historical Fiction, or for anyone else who's interested, here's a link to my part of the PowerPoint, which also includes my script (in the form of presentation notes). Once you reach the linked page, click on Download to open the file. It's 2 mb. I don't usually work with a script, but since I was going first out of five and had a short time allotted to me, I practiced a few times to make sure it all fit. Normally I'm used to giving hour-long presentations to students, so this helped. Anyhow, enjoy! The other four presenters were Jenny Quinlan of Historical Editorial (who talked about more trends and gave advice based on her cover design experience); Kris Waldherr (a novelist and designer who created beautiful covers for her own books and Sandra Gulland's ebooks, among others); Anna Michels of Sourcebooks (who provided an overview of the design process for Susan Higginbotham's upcoming novel Hanging Mary, including the covers that didn't make it); and Emily Victorson, publisher at Allium Press of Chicago (who showed how she uses period photographs and historical fonts to come up with their covers). UPDATE, July 9th: Jenny Quinlan's part of the presentation is now online at her blog. It's a must-see if you're interested in cover design trends; she also provides insight into historical anachronisms. A sidenote: while I was heading up the elevator at the conference hotel, another attendee saw my badge and speaker ribbon and asked what I was presenting about. I told her, and she asked me, "So, are you for or against headless women?" This is the type of conference it was. Everyone spoke the same language. Sounds fun. One day I hope to go to the conference. Hope so too - the next one will be over in Oxford, England, while the location for the next US one is yet to be decided. What about the faceless, i.e. seen only from behind, preferably back bare . . . .
That was covered in Jenny's presentation :) She had a number of examples. There are a lot of those, too! I didn't even know this was a conference or even a society (I guess I am behind). I will have to look into this. 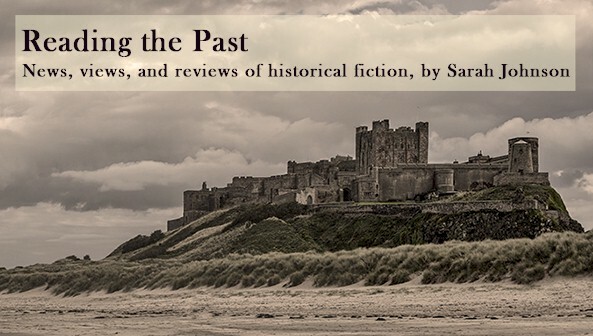 Great - here's the Historical Novel Society's website and the conference's website, if you'd like to check out either one. There are also local HNS chapters that have meetings in between the larger conferences. Thanks -- and she's still going strong, alas! But we're definitely seeing more faces, too. cool, I loved this presentation - thanks for sharing with those who could not be there! Wish I'd been able to make that session (or spend more than 5 seconds talking with you!) Covers always fascinate me, and I'm enjoying the current trend toward more graphic design in histfic covers and away from photos. I'm thinking of exploring that in some future books, although not in my current series as that's already set along photo lines (model facing away from camera for the very practical reason that you can't always get the same model twice). I know, it was such a busy few days that it was difficult to chat with anyone for more than a short time! I'm liking the trend towards illustrated covers and away from photos, too (unless they're reworked versions of vintage photos - those I can appreciate). That's a good point about the different models. I like your idea. The Outlander books, for instance, had a few makeovers along the way. Hi Sarah, thank you for this powerpoint! The cover art is just gorgeous. I was at the conference but didn't get a chance to come to your panel. There were just so many to choose from that I had to make some hard decisions. Hi Karen, you're welcome! One of my co-presenters will have her slides up shortly, and I'll link them here once they're online. I know what you mean - it was difficult choosing. There were plenty of interesting sessions I didn't make it to either. Thanks for putting that together. I was just discussing the cool and simple cover of Jonathan Strange and Mr. Norrell with my husband. One could do a whole study of fonts and how they telescope period and hopefully move sales. That book does have a distinctive cover - the publishers were clearly trying to set it apart from other historical fantasy novels. I loved the font and the cut-out design. I wish I liked the book itself more... but there's always the TV version, which I haven't seen yet! That I liked some headless woman covers but thought that the trend was getting old.